Views from the Sofa’s 100 Greatest Scenes is a list of the 100 greatest moments in the movies. This could be long introductions, moments of action or great dialogue between characters. The scenes are in no particular order and come from many different types of movies. The key to this scene is the complete menace of Christoph Waltz. 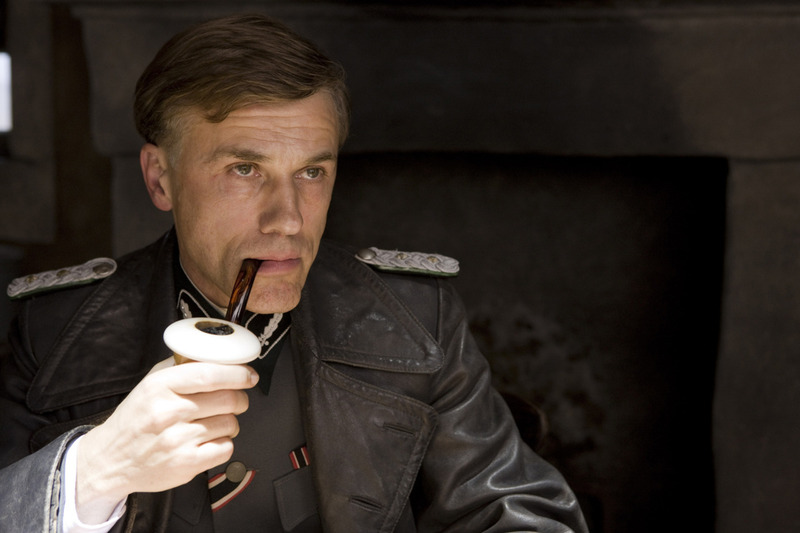 The moments before Hans Landa lights his pipe are quite jovial but never less than terrifying. Landa hasn’t forced his way into the house, kicking in the door and demanding the Jews hidden under the floorboards reveal themselves. Instead, he sits, sharing a glass of milk with his forced host and explaining what makes him so good at his job. The audience is never less than tense though. Waltz hasn’t threatened anyone yet. He hasn’t made any attempt to interrogate the farmer (Denis Menochet) who he knows his holding “enemies of the state.” Instead he smiles, is polite and plays the long game. That is the key to the scene. After Landa has lit his pipe, the tone of the scene changes. He becomes direct without raising his voice. Waltz’s eyes almost do all of the work for him, his wide smile hidden behind a stoic scowl, as he calmly but with complete direct coldness, explains that he knows the Jews are hidden and that the farmer should help him. This is where the magic of the scene comes into full play. Menochet is great at showing the fear, resolution and regret in the decision he is about to make. His words short and direct, the tears welling in his eyes saying more than any exuberant performance could. Without any threat of violence, the farmer gives up the people he is hiding. Tarantino then shows his directing ability. The rest of the scene is in French, without subtitles, but they are unnecessary anyway, as Landa instructs the Nazi soldiers to shoot through the floorboards of the house, killing the Jews underneath. The magic rouses as the farmer hides his face and Landa struggles to hide his glee. 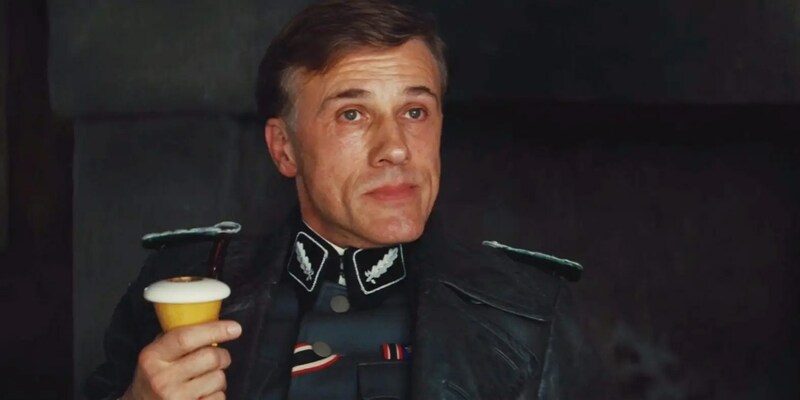 This scene, and the other similar scenes within Inglourious Basterds, create a fantastic villain which Waltz has yet to match. It is tense, focused and tells a great, epic story in just four minutes, across a table, smoking a large pipe. Overall, this scene is another example of what Tarantino does best, with his writing as crisp and direct as ever. Most of the credit goes to Waltz though, who turns his performance so quickly but subtly that you can’t help feel a chill as the inevitable conclusion becomes apparent. YES Ben! This really is a fantastic scene. I’m just on edge throughout the whole thing. Denis Menochet is brilliant as you say, with very subtle yet powerful emotions, and Waltz on top form as usual. This is a classic! Waltz has never been better than here in my opinion. I know! It is testament to how good an actor Waltz is. This scene! It is so uncomfortable and tense to sit through. Perfect acting by both actors here.